The big news today from the Annual EASD meeting in Berlin? 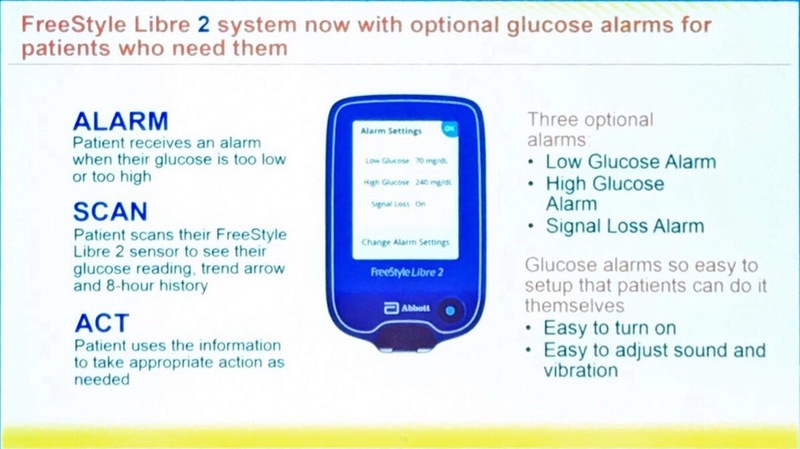 Abbott announced their “next generation” Libre, appropriately named Libre2, had received the CE Mark. Ignoring the poor language about alarms being easy enough for patients to set, it seems that there is now a bluetooth link to the reader allowing it to alarm when high or low, or when the signal is lost. Further to this, we can see there are communications every minute between the sensor and the reader. However, we also noted that the reader isn’t displaying readings in real-time, only when the sensor is scanned. So much information, and yet so little. A character denoting High, Low or “in-range”? A heartbeat showing locality with only highs and lows alerting? Will there be a phone app? How will this fit in with the roll out of Libre1 across Europe, and particularly the UK? Does the addition of alarms at a price that undercuts Dexcom significantly (£70 vs £159 per month) mean that for the UK, CCGs will refuse to fund Dexcom systems going forward, without significant price reductions? Does the above matter given the MARD of Libre and Dexcom G6 are supposed to be similar? This is the same language as that used in the Abbott press release, so I remain hopeful that the minute-by-minute data is useful for a closed loop system, and that would be a real game changer. Data every minute would allow us to detect fast climbs and falls significantly earlier and take action (accounting for the known delay in interstitial fluid. There’s also the point that alerts are variable. This could be done either by transmitting a glucose value and alerting in software, or by providing a trigger value to the sensor where it would issue the alert message. Going on the previous architecture of the Libre, where only raw data comes from the sensor, the former would seem more likely. So at this point, we await more information from Abbott and getting our hands on the system to see what we can uncover, and what they’ve encrypted. Who knows, if this adheres to the JDRF open protocols initiative, they might even share that with us directly! However you look at it, and whether you like the paradigm of flash or not, it’s hard to deny that Abbott are attempting to disrupt the CGM market, both in pricing and in provision of their plans to healthcare providers. How will others respond? I’ve updated the post since the original. The structure of the old Libre was that it only transmitted raw data via NFC and the app/reader did all the work. For them to interpret the data on the sensor, and make it adjustable based on a customised alert would be a significant change to the sensor “software”, so it seems more likely that they’d transmit a value and the app/reader does the work. I’m guessing they do it this way so as to avoid a patent infringement. I’ve heard someone else suggest this. I wouldn’t know, however, Abbott have previously sold the Navigator, which was full CGM, so that seems less likely. Perhaps a little bit cynical but if you wish to maximise you return on such technology then one way of achieving this is to drip feed out to the great unwashed public. Flog Libre 2 for all you can grind out of it profit wise and then introduce the full CGM facility on Libre 3 which you also grind out maximum profit. The diabetic sheep and I am sadly in the flock will be climbing over each other to be first in the queue to buy one and then the next generation and the next and the next. Steve Jobs and Tim Cook have done quite nicely from adopting such practices. Abbott has unveiled a new FreeStyle Libre for the US market that’s far more accurate than the International FreeStyle Libre. It seems that the Libre 2 doesn’t have this new sensor, as no-one has mentioned anything about it. The US Libre gained approval for dosing by using a 10 day sensor life and a 12 hour warm up time (MARD 9.7%). The new US sensor further improves the MARD, even while extending the sensor life to 14 days and a 1 hour warm up time (MARD 9.4%). The difference in accuracy to US users would be minimal. However, the difference for a user that had been using the International sensors would be incredible (MARD 11.4% vs 9.4%). Using the US as a testing ground for the new sensor, while Europe as a testing ground for the Bluetooth connectivity makes sense for such a high volume device. I suspect that the 10-day wear was approved at a 9.7% MARD by removing the day 1 (i.e. requiring the twelve hour warm up) and then stopping at 10 days (removing the less accurate last four days. A test I’m running right now should confirm this. There was confirmation at EASD that the Libre2 is factory calibrated differently from Libre3 (using a per sensor calibration rather than per lot), and that the MARD would be…. 9.5%! 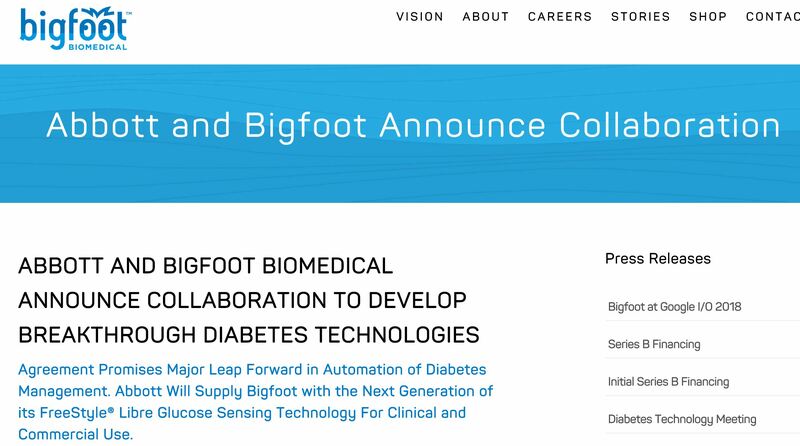 If that’s the case then what you’re seeing on the US 14 day Libre is likely to be the new calibration model, and Bigfoot will be using the European bluetooth enabled sensor… All speculation of course! 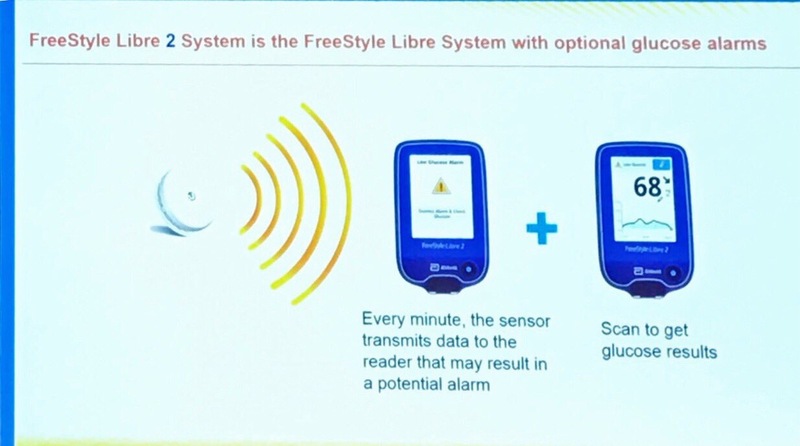 The accuracy of the Libre sensors can be significantly improved by using the Android Glimp app (from the Play Store) with an NFC-enabled phone to read the sensors and manually entering fingerstick readings. Glimp uses these to calibrate the sensor readings. Hi John, there are numerous ways to use third party devices and apps with the Libre, and Glimp has been mentioned on this site before (in 2016 I think), however, the intention here was to look at the manufacturer native solutions, and the outcome for the Libre in that respect was surprisingly good. does anyone have any idea about the new encryption on the 14 day US sensor? Glimp author reports that they have a new encryption on US sold sensors. They have us locked in to their sensors and reader, why should they care if it can also be read by any other device? They give away the phone app for free, it is not like they are being encroached upon from an IP perspective. And in any case, making Glimp not work for US 14 day sensors when they don’t even have an app that works i the US seems puzzling. Librelink in the Google play store says it does not work in my country. Does anybody know of any devices I can make or buy to show me what NFC communications are being sent/received? I’m not sure whether it’s the NFC that’s the problem or the data packet itself. Might be worth reaching out to WeAreNotWaiting teams in Germany and Italy to see if they have any idea? Please let me know if they need any sensors to test and figure out the encryption being used. Because I downloaded the Libre app from the UK play store but scanned my sensor to find out it was not compatible with the sensor being used. So after waiting all this time and deciding to go with the Libre and MiaoMiao I find out that I can not because the FDA does not want us to.